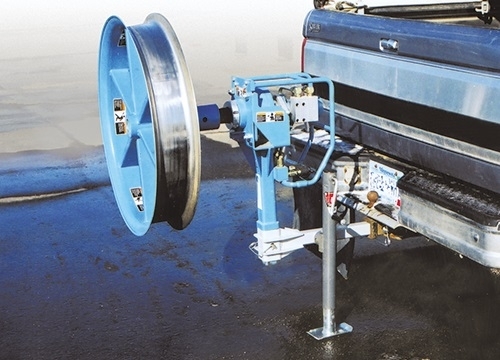 Hitch Mounts are a fast, easy way to mount the Fiber Optic Cable Puller. The Hitch Mount attaches directly into a typical 2" (51 mm) square Reese-type receiver and the cable puller mounts in a 21⁄2" (64 mm) square fixture. An adjustable jack is included for added stability and height adjustment. Pulling loads must not exceed 800 lbs. (3,559 N).